Luxembourg is a small land locked country, located in western Europe. The country’s official name is the Grand Duchy of Luxembourg. Luxembourg had existed as an independent nation since 1890, but not many people know about this beautiful country. During our visit to the western European countries of France, Belgium and the Netherlands, we decided to explore Luxembourg and learnt so much about it. We also did a fair bit of research before our trip and we were intrigued by the interesting facts about Luxembourg. We curated all the information we researched in this post. Luxembourgish National Day, same to same as Grand Duke’s official birthday, is it so? Why should you visit Luxembourg? Here are some of the fun facts about Luxembourg. Luxembourg’s history dates back to 963 AD. At that time, the territory around the Luxembourg Castle was occupied and ruled with autonomy by Siegfried I of Ardennes. Siegfried’s descendants increased territorial expansions through marriage, war and vassal relations. In the 13th to 14th centuries, Luxembourg was part of the Imperial German monarchy, followed by French and the Hapsburg dynasty of Austria (under Maria Theresia). Present day Luxembourg was formed in 1815, after the Vienna Congress. Luxembourg was under the rule of the King of Netherlands (serving as the Duchy of Luxembourg) for a major part of the 19th century. For a brief period, Luxembourg was independent (19th and 20th century) only to be occupied by Germany in the Second World War and annexed as part of the German Third Reich. Luxembourg was a neutral country and with Germany’s defeat, Luxembourg was liberated in 1944. Luxembourg is named after the historic 10th century castle, called the Lucilinburhuc. Lucilinburhuc means “little fortress”. The anglicized version of Lucilinburhuc is Luxembourg. Luxembourg is a land locked country, surrounded by France, Belgium and the Netherlands, making it easy to take day trips from each of these countries. 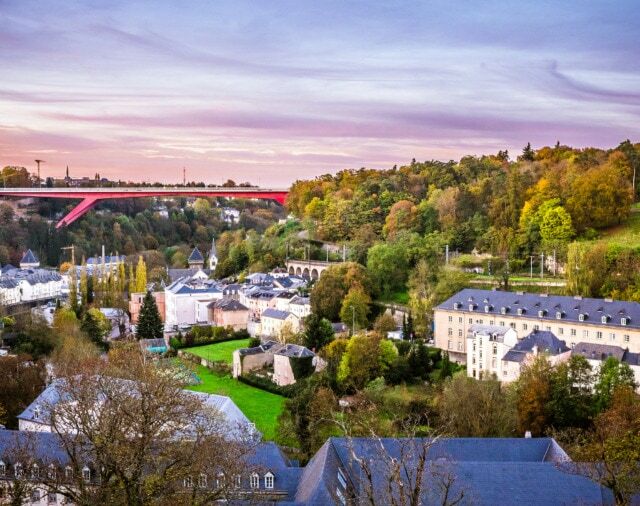 With an area of 2,586 square kilometers, Luxembourg is the smallest sovereign European Nation. Luxembourg is one of the least-populous countries in Europe. But it has the highest population growth rate. Immigrants and foreigners account for almost half the population of Luxembourg. And Portugal leads the foreign population of Luxembourg. Did you know that Luxembourg is a small country, but has 3 official languages – French, German and Luxembourgish. A country as large as Canada has only 2. People and residents of Luxembourg are called Luxembourgers. About 72.4% of Luxembourg’s population adhere to different forms of Christianity. Luxembourg is the only remaining Grand Duchy in the World. It was established as such by the Congress of Vienna in 1815. As a duchy, it was a part of German Imperial power, but was ruled by the Netherlands. Hence why the official name of Luxembourg is the “Grand Duchy of Luxembourg”. Mir wëlle bleiwe wat mir sinn is Luxembourgish for “We will stay what we are”. It is the national motto of Luxembourg. This tells us that Luxembourg LOVES who and what they stand for. June 23 every year is celebrated as the Luxembourgish National Day. It is also recognized as the Grand Duke’s official birthday. The date of celebrations originated from Grand Duchess Charlotte’s birthday, which was January 23rd. Although her actual birthday was in January, but due to winter, the birthday celebrations were postponed to summer and hence June 23 became the official birthday of the Grand Duke and the national day of Luxembourg. The capital of Luxembourg is by the same name of Luxembourg City. And it is the first city in Europe to be named the “European Capital of Culture” twice. European Capital of Culture is a city designated by the European Union for one calendar year in which the city organizes cultural events to show case strong pan-European culture. The event started in 1985, when the Greek and French Cultural Ministers came out with this plan to promote European culture. Luxembourg had won it in 1995 and 2007. Up until now, 40 European cities have been recognized as European Capital of Culture and Luxembourg City is the ONLY city to win twice. Luxembourg follows parliamentary representative democratic monarchy, whereby the Prime Minister of Luxembourg is the head of government. Did you know that Luxembourg scores highly in the governance index? It is the 8th BEST governed country in the world, right before Canada! Luxembourg was a neutral party during the World War II. And later on, it went on to contribute HUGELY to the European politics, peace building and trade efforts in the region. Did you know that you can purchase a BENELUX rail pass, that allows transit and travel of all three nations? Luxembourg is part of the Schengen Agreement, which means that Schengen visa holders can travel and stay there for up to 90 days. The Schengen agreement comprising 26 European states was signed in Luxembourg in June 1985, in the wine town of Schengen (and hence the name). Luxembourg passport is ranked the 5th BEST ranking passport in the world. Luxembourg citizens enjoy visa-free or visa-on-arrival access to 186 countries and territories. Read about the World’s best Passport to travel easy. Luxembourg is one of the TOP 10 richest country in the world, with one of the lowest GDP debt ratio. The GDP per capita is 62.4 billion USD ‎(2017). On an average, residents of Luxembourg earn twice as much as an American. With one of the least population in the world, the standard of living is great as well. Luxembourg economy benefits from education and specialized workers in private sectors. Tax restriction in the private sector is very lax. The government also invests in assets and makes money externally of the private sector. The economy of Luxembourg was heavily into steel, once upon a time. With the fall of steel industry, they strengthened their asset management sectors. Luxembourg being a strong tax haven, has a huge network and set of financial institutions. This is evident from buildings in Luxembourg city. Luxembourg adult literacy rate is around whopping 99 %. Did you know that Luxembourg is the safest country in the world? The country of Luxembourg only has 2 prisons and 1300 policemen for a population of 595,537. Luxembourg also comes first for personal freedom and health with a high rate of longevity. Luxembourg, like the origins of its name is home to 130 castles. Luxenbourgers dance in the hopping procession in Europe, which is ONE of its kind. The ‘Echternach Sprangprëssessioun’ (hopping procession) is a religious tradition. About 10,000 Luxembourgers dance in procession on Whit Tuesday after Whitsunday. This is a UNESCO listed cultural heritage. Traditional Luxembourg meat cuisine is called the Judd mat Gaardebounen. It is made out of smoked pork, which is soaked overnight and boiled with spices and vegetables. It is served with beans and mashed or boiled potatoes. It is the national dish of Luxembourg. If you are a wine lover, head to Luxembourg. Not to their vineyards, but to Restaurant Chiggeri, they offer over 2000 varieties of wine in their menu – that’s the ultimate wine list for you! LGBT rights in Luxembourg are same as non LGBT citizens, including marriage rights. They are respected and accepted. You will find tons of gay bars and clubs in the country. Did you know? Xavier Bettel, the current Prime Minister of Luxembourg, is the first gay Prime Minister in the world. Only 36 countries in the world have ever won a GOLD in Olympics and Luxembourg is ONE of them. 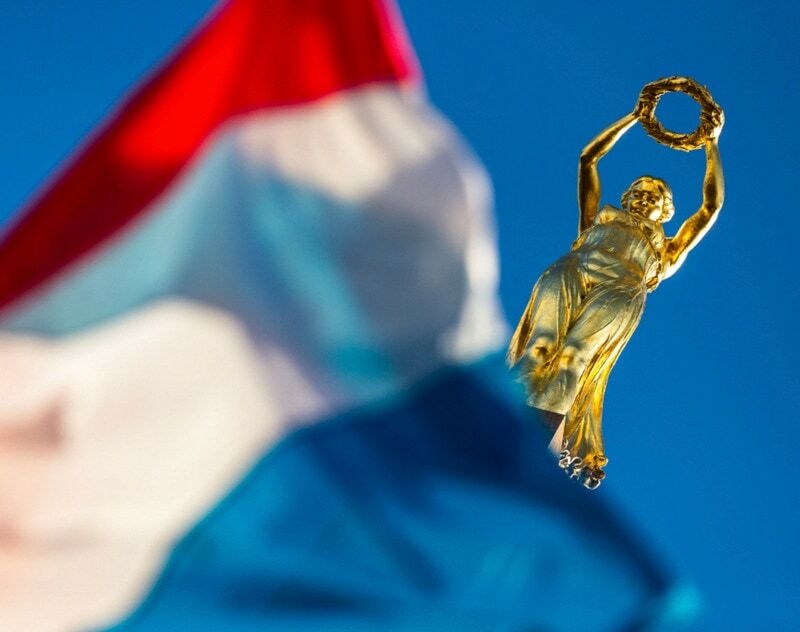 Luxembourg has competed in 28 Olympic games so far (2019). There are many reasons why you should consider visiting Luxembourg. The listed UNESCO world heritage site is definitely a crowd puller. 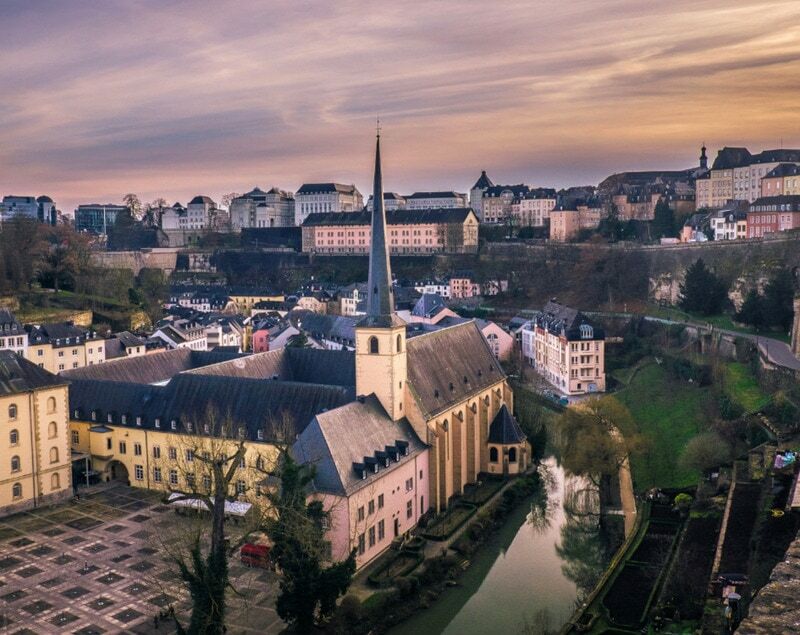 The country’s safety and rich infrastructure are a reason to experience Luxembourg. The dense forest areas, mountainous terrain, wine paradise and castles will surely keep you hooked. Being a land locked country, surrounded by Belgium, France and Netherlands, you can take many a day trips here and check off another country from your bucket list. We are sure these Luxembourg facts will keep you wanting for more. Before you decide to book the flight ticket, here are some travel tips for your trip to Luxembourg. Travel Documents – Schengen visa holders can travel to Luxembourg for up to 90 days. EU passport holders are visa exempt. Currently passport holders of USA and Canada do not require visas or travel authorization. From 2020 onwards, ETIAS is required by US and Canada to travel to Luxembourg and other Schengen areas. Luxembourg Airport – Luxembourg has only ONE international airport. It was previously called – Luxembourg Findel Airport. The distance from Luxembourg airport to the city is about 7 kilometres. Best time to travel to Luxembourg – May, June and September are great months to travel. We were there in September and almost all services were open and were less crowded. How much time to allot for Luxembourg stay – Allot a day or two for Luxembourg city. Add another day or two for the countryside. Most tourists prefer taking a day trip to Luxembourg which is not a bad idea either.